As families outgrow their surroundings, they may consider moving into a larger home or simply adding an addition to their existing house. More and more families who have the room on their residential property to build an addition are choosing to stay. A. Leigh Construction has made it part of our company’s mission to improve family life by adding square footage and value to your home. A “bump-out” that enlarges an existing room can be a value-conscious remodeling project. One of our favorite projects was turning a small, dated kitchen into a chef’s dream by expanding into an existing screened porch. The original kitchen was too small, cramped and just didn’t function well for the family. By capturing the screened porch, the kitchen doubled in size and they were able to get the large island they always wanted. In the photos to the right, you can see the porch before and after its transformation. We created a large area for dining as well as additional seating. Below you can see the new seating area and updated exterior of the old porch. French doors create an inviting entrance to the newly renovated kitchen. Look around your home for cramped, dark areas that could be improved with a minimum-sized addition. Have you considered adding a walk-in bay window to your dining room? You’ll be amazed at how this small change will open up and brighten the room. How about a deep window seat in your favorite room for a cozy reading nook? This can be designed to include hidden storage. Have you been dreaming of a spacious spa-like shower? A bump-out could give you room for the new bath with windows to add light and spaciousness. With the cost of assisted living facilities rising, they may not be an ideal option. In hopes of keeping your loved one independent for as long as possible, consider adding a private suite to your home. From attached to detached, there are so many options. You can add separated living areas or have one open concept living space. Bathrooms and kitchens can be handicap accessible to meet any future needs that may arise. If you have space on your property to incorporate a larger addition, the possibilities are endless. Our additions flow seamlessly from the existing home into the new space. Clients are always amazed when they see how well we transition the original structure into the new addition. 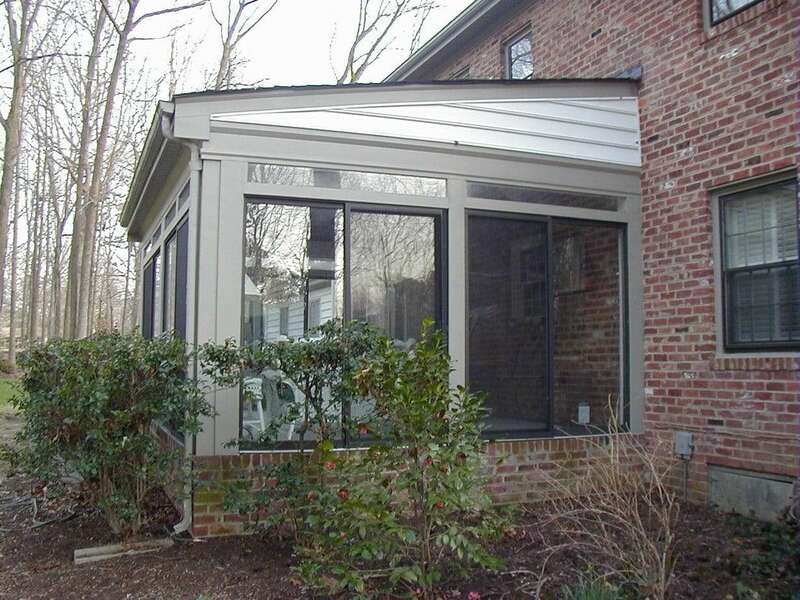 Below is a photo of a family room addition onto an existing home. We offer attached and detached options for adding living area to your home. In addition to mother-in-law suites and custom additions, we provide other home services including kitchen remodeling, bathroom remodeling, whole house remodeling, decks and screened porches, siding, doors and windows too. Choose A. Leigh Construction as your general contractor. We take our commitment to quality craftsmanship and customer satisfaction very seriously. You can count on us for prompt, reliable service to ensure your satisfaction! When you are ready to start planning, call us. A. Leigh Construction is awesome to work with. They are professional, respectful and courteous. They arrived on the job site on time, worked efficiently to finish my project and thoroughly cleaned up before leaving. They are quick to respond to any concerns or issues addressed by customer. They will respond to emails and texts in a timely manner. They want total customer satisfaction. The quality of the work is outstanding and cost is fair. They are so pleasant to work with. I highly recommend A. Leigh Construction for your next house project.